When it comes to every day style, I’m all about ease. And layers. And then maybe even more layers. Ideally there’s not too much decision making (hence the “uniform“) and no season specific items beyond outwear, shoes, and accessories. 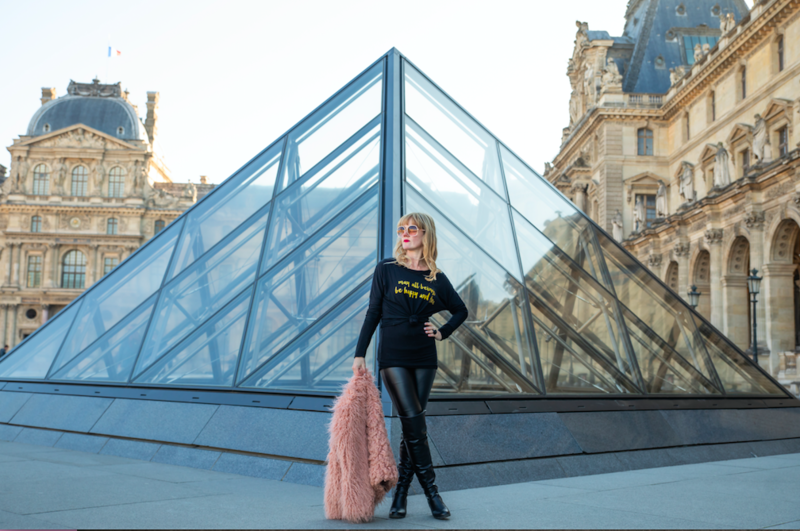 Above you’ll find how the items in the suitcase below got me through six days in Paris with varied looks and, yes, I wore the 2in1 and capri legging EVERY DAY with layers. I had a pair of faux leather leggings over my capris and planned to take them off, but it was too darn chilly. The TranquiliT pieces featured are 2in1 fitted, capri legging, mesh skirt, message tee, long sleeve wrap tunic, and duster. Also, if you need a packing checklist to prepare yourself for an upcoming holiday trip, here’s one I created to help. Pack those accoutrements that keep you comfortable and feeling good. Being out of our routine and environment can lead to additional stressors, so it’s helpful to pack lightly, carry creature comforts, and feel your best. I’ve found that another key to tranquil travel is layers, rolled clothing, staples, and a rollerboard suitcase that fits in the overhead. Many staples come with me in my carry-on—pain reliever, earplugs, headphones, healthy snacks like nuts, meds, lavender oil, journal, pen, books, laptop. 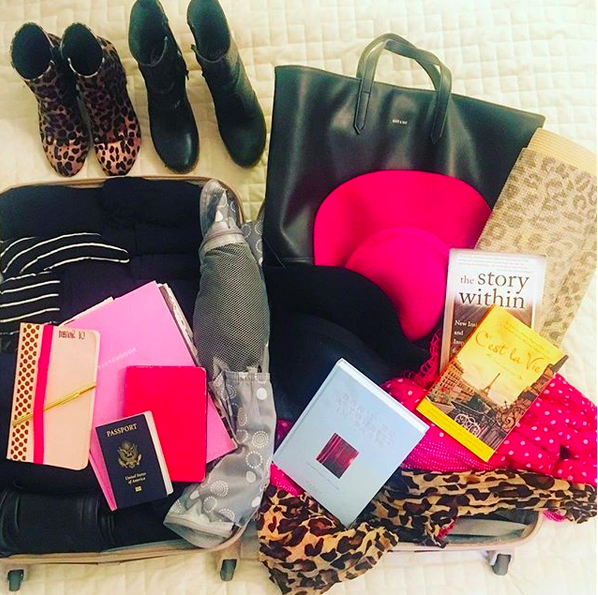 Here’s an earlier blog post on packing for 10 days in Paris. The post TranquiliT in Paris + Tranquil Travel appeared first on Kimberly Wilson.